In a study of African Americans with hypertension-related CKD, metoprolol, but neither ramipril nor amlodipine, increased serum uric acid levels. 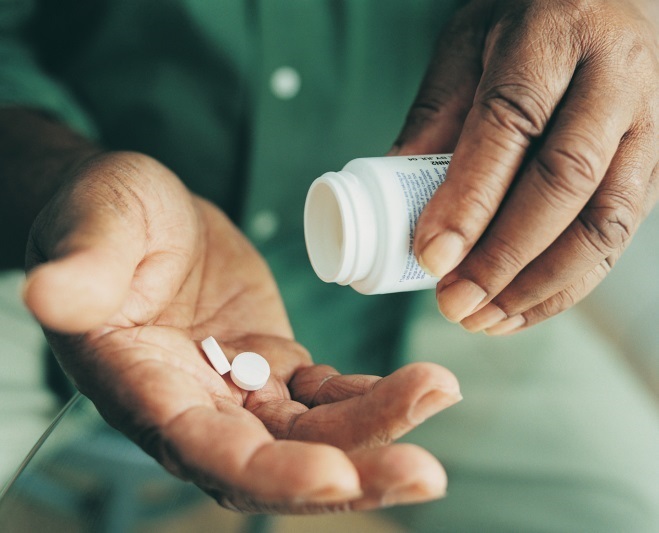 Metoprolol use is associated with elevated serum uric acid (SUA) levels and an increased risk of gout among African Americans with hypertension-related chronic kidney disease (CKD), according to a new study. In a study of 630 participants in the African American Study of Kidney Disease and Hypertension (AASK), those randomly assigned to receive metoprolol, a beta-blocker, had a mean 0.3 mg/dL increase in SUA at 12 months compared with baseline (8.4 vs 8.7 mg/dL), whereas patients randomly assigned to receive ramipril, an ACE inhibitor, or amlodipine, a calcium-channel blocker, had no significant change in SUA, Stephen P. Juraschek, MD, and colleagues at Johns Hopkins University School of Medicine in Baltimore, reported in the American Journal of Hypertension (2017;30:871-875). Additionally, metoprolol was associated with a significant 0.40 mg/dL and 0.57 mg/dL increase in SUA compared with ramipril and amlodopine, respectively, from baseline to 12 months. Compared with ramipril, metoprolol was associated with a significant 62% increased odds of gout-related medication (GRM) use. Metoprolol was not associated with increased odds of GRM use compared with amlodipine. The investigators ascertained GRM use based on active prescriptions for allopurinol, probenecid, or colchicine during the baseline visit of the AASK cohort phase. The risk of gout-related hospitalizations did not differ significantly among the 3 medications. “Health professionals treating patients with gout in the setting of chronic kidney disease attributed to hypertension should avoid metoprolol,” Dr Juraschek’s team concluded. The study population had a mean age of 54.9 years, and 40% of participants were women. The median follow-up time was 4.7 years. With respect to study limitations, the authors pointed out that the sample size was underpowered to detect a difference in gout-related hospitalizations. In addition, they relied on GRMs as a clinical surrogate for gout or its severity after the trial. Although allopurinol or probenecid are very specific for SUA reduction, colchicine can be used for other conditions, “although we expect this indication would be rare.” They also noted that their study population was limited to African American adults with nondiabetic kidney disease attributable to hypertension. “These exclusions should be considered when applying the results of this study in clinical practice,” the authors cautioned. They pointed out, however, that their findings of the effects of beta-blockers on uric acid were similar to European trials of mostly Caucasian patients, making generalizability to other populations, such as Hispanic or Asian populations, likely.